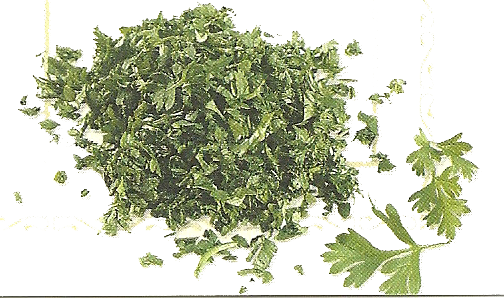 Chervil is an herb for the connoisseur of fine flavors and fragrances. Perhaps because of its family alliance to cow parsley (Anthriscus sylvestris), an infamous British weed, chervil has never been widely grown in American gardens. In appearance, it resembles flat-leaved parsley, but its leaves are more finely dissected and paler green. Its aroma and taste suggest the flavors of tarragon and fennel, although it’s much less potent than the latter. It's slightly sweet flavor has a faint anise scent,making it ideal to add to soups, sauces, potato and egg dishes. 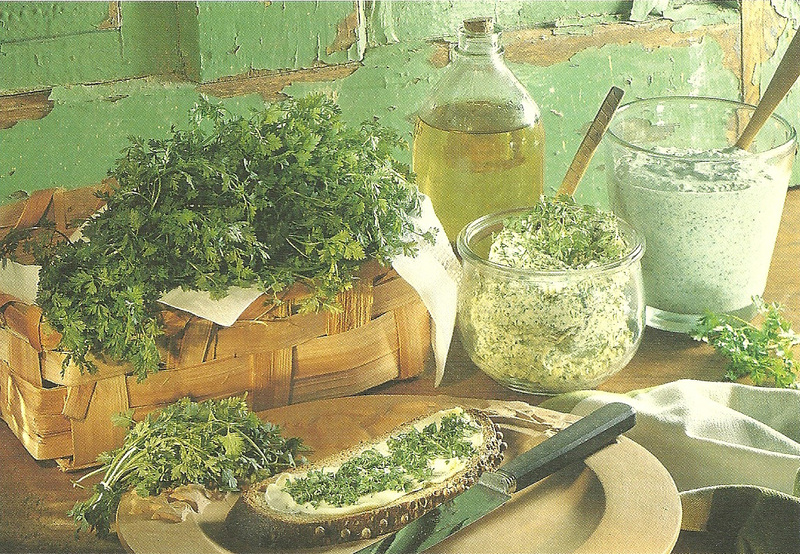 Chervil is reputed to have a mild stimulating effect (Culpeper, the 19th-century English herbalist, wrote that “it doth moderately warm the stomach”), in fact this warming action may be helpful in stopping hiccups. Just chew generous ammounts of the leaves. You can swallow juices, but spit out pulp. Chervil is an excellent complement to any mild food. Use the chopped leaves to enhance sole and other white fish, chicken, eggs and zucchini, as well as salads, sauces and soups. Its flavor is best fresh; if you plan to use it in cooked dishes, add it near the end of the cooking process. Chervil is an intriguing herb. Many do not appreciate its unique scent and taste, but every herbalist and gourmet should grow it at least once. Try chervil this year—you’ll be charmed by its dainty appearance and delicate flavor.